And what else do I enjoy about this time of the year? Christmas parties! It feels like almost every meet-up, if it is a catch up with a friend, a group gathering for dinner or afterwork drinks with colleagues, must be something special. ‘Tis the season after all! Yet it is so hard to find the time to make delicious food or put something a little different before the big day has even arrived! 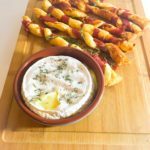 It is why ready made pastry is my go to party food! 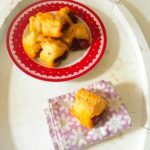 Just like my Pork and Cranberry Christmas Crackers, these Pesto and Parma Ham rolls take minutes to prepare and only need a short time in the oven! Making your own pesto is incredibly easy but I have made these before using shop bought pesto. I have included a quick homemade pesto recipe but you can easily replace it. 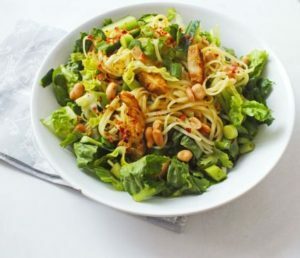 Red pesto also works well. And I like to sprinkle a little extra parmesan on the top of the rolls before placing in the oven. It pairs nicely with the saltiness from the parma ham. 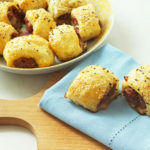 These Pesto and Parma Ham rolls are a lovely alternative to the Classic Sausage Rolls. In a food processor add the pine nuts, garlic, basil, parmesan and garlic. Add a pinch of salt and pepper and about 1 and half tbsp olive oil. Blitz until smooth. 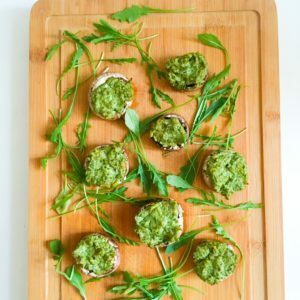 Take a piece of the puff pastry and spread the pesto on one side. Then lay a slice of parma ham on top. Take each thin side together and roll it over into one long sausage. Pinch the sides so they stick together. Brush the top with the beaten egg and add a sprinkling of grated parmesan on the top. Place in the fridge to firm up. Repeat with the rest of the ingredients. Leave in the fridge for around 20 mins. 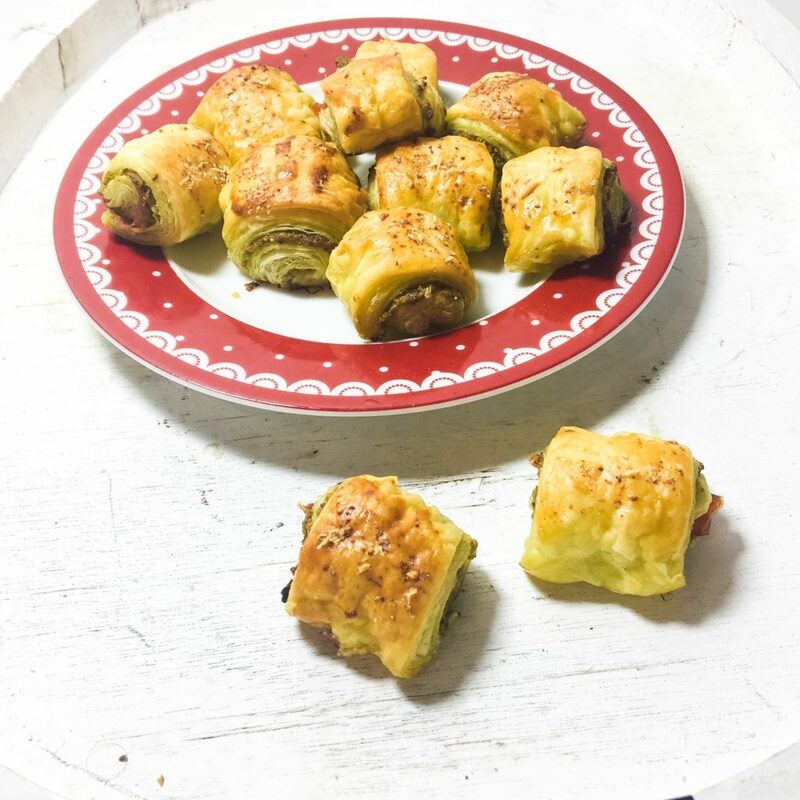 Take each long sausage shape pastry and cut into small squares. Each one will cut into about 6. Pop on a baking tray and place in the oven for around 20 mins or until golden brown and puffed up. Leave to cool for at least 30 mins before serving.